There is an endless list of reasons why I love Vaulting. It is the perfect combination of so many incredible individual sports, but by bringing them together it creates something so special – even magical - and that's why I can't wait for the FEI World Cup™ Vaulting Final in Saumur this month. 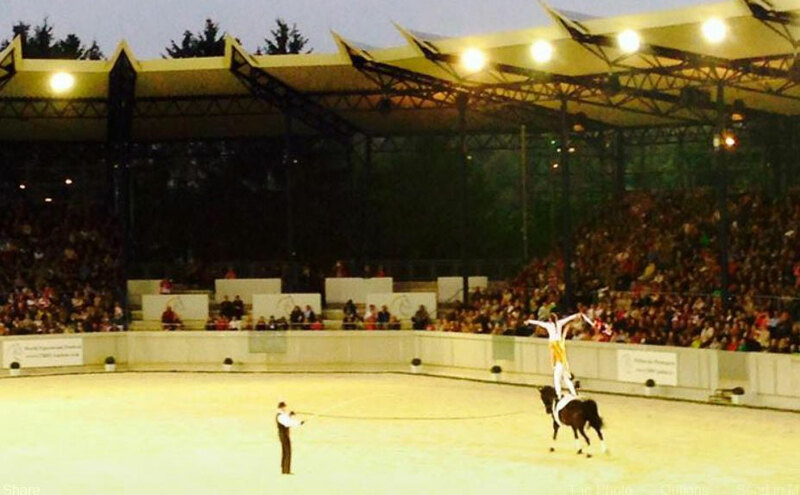 Equestrianism, gymnastics, dance, theatre, expression – Vaulting has it all. But the sport is so much more than that, it is rooted in teamwork and in trust. Most importantly Vaulting is uniquely a community, a family, one in which people from all around the world help each other to grow and progress. I was brought into the sport through my burning desire to be like my big sister. An age old tale. At the age of five my mum and dad bought a pony for my brother, sister and me to share - she gave us the best possible introduction into equestrianism. Shortly after, my neighbour asked if my sister would like to ‘have a go’ at Vaulting – a sport we had known little about – as they needed small people to ‘throw around’. Talk about a life-defining moment! My parents had imposed an age limit of eight years old on me – which I can tell you at the time felt a lifetime away. I would watch my sister from the sidelines desperate to join in. Vaulting was all I could dream about. The Christmas just before my eighth birthday I asked Santa Claus if I could become a vaulter. He obliged and that year I received my best ever Christmas present; Vaulting shoes, a leotard and leggings. I was on my way. 2001 would prove to be a pivotal year for us in Vaulting. It was the year my parents set up our club the Wee County Vaulters, which still runs to this day, and it was the first year our wonder horse W.H.Bentley made his competition debut. He would go on to represent Great Britain at every championship from 2002-2016. He is the heart of our family and has been the catalyst for all our successes. I competed at my first FEI European Championships in 2003. It was an amazing experience, our team may have come last, but there was a real hunger to improve and together we moved up the ranks. The foundation from years competing in that team would contribute so much to our later successes in individual and pas de deux. I have and continue to have many idols within the sport – Nadia Zülow, Nicola Stroh, Kai Vorberg & Nicolas Andreani to name but a few - but none more so than my family and my sister Joanne. 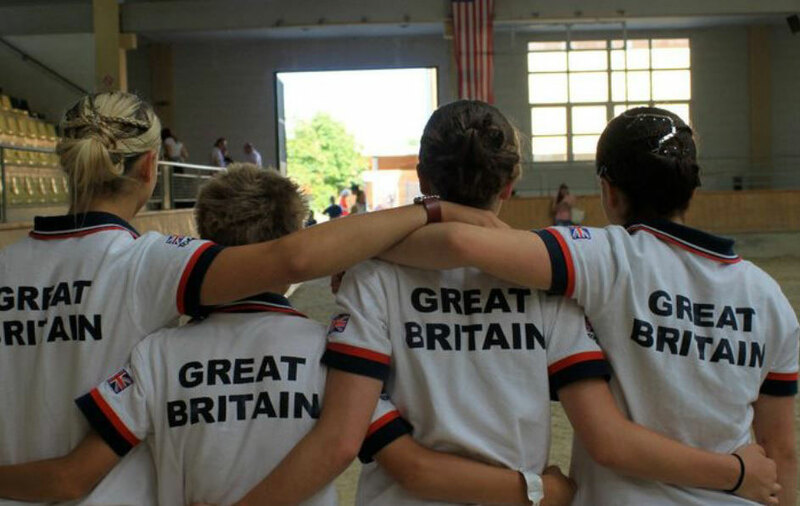 Joey won Great Britain’s first ever FEI Vaulting medal in 2009, taking European gold. 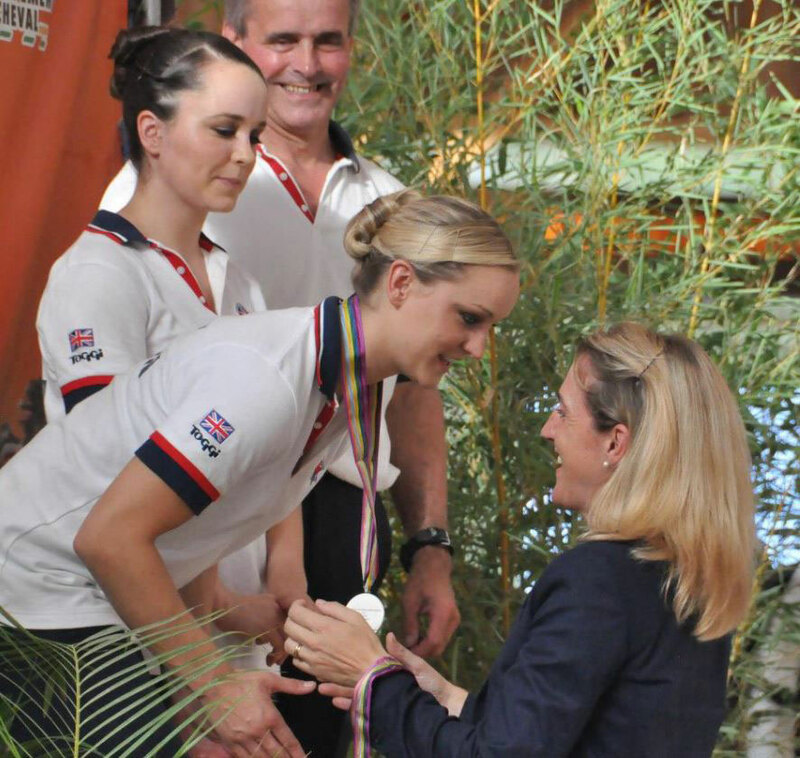 She went on to become a three time World Champion, FEI World Cup winner and defended her European title at the 2011 championships. There is that famous quote that ‘you should never meet your idols’, I am incredibly lucky that I got to compete and train alongside mine, and be inspired by her every day. My idol, my sister, my pas de deux partner. If you had asked me when I was competing what my favourite moment was I would have said the 2012 season. Joey and I placed first and second at the FEI Vaulting World Cup™ final and at the FEI World Championships that year Joey took gold and together we won silver. Everything felt smooth sailing, unlike 2014, where despite the great results it was a lot more trying! In hindsight, it is the countless hours I have spent with my horses, family and clubmates pushing our athletic boundaries, travelling the world and making memories that mean the most. I know the journey that awaits them and it is one of the best experiences in the world.